Congratulations, Telltale, you’ve done it. Telltale is not a traditional game company; it is a modern-day entertainment studio. Telltale creates interactive digital storytelling, which represents a new category of the visual media we consume every day, e.g., television, movies, books, and magazines. 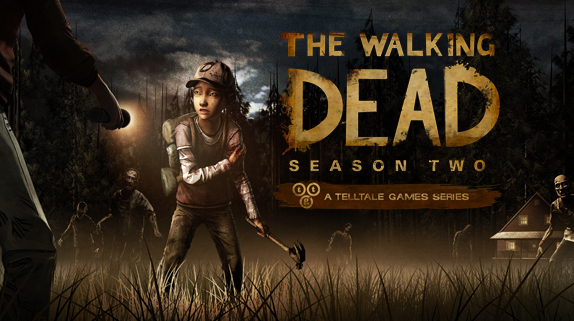 Telltale releases the season of episodes roughly over a six-month period. It’s a great model, but the real magic of Telltale is the core team who makes the games. These are individuals who hail from Lucas Arts, creator of “Star Wars” and “Indiana Jones.” The team has ported that artistry and professionalism into the world of computer gaming. They’ve done such an impressive job that Hollywood studios have said they choose to license their IP only to Telltale, who know how to treat the IP, the crown jewels of every media company. Each Telltale game is as engaging as a television show. The writing, voice acting and cathartic emotion that you are left with are palpable. As Chris Suellentrop of the New York Times said about “The Walking Dead,” “…moments have more sadness and subtlety in them than other games muster in 40 hours.” (*SPOILER ALERT*) Some of the most intense moments I have experienced in gaming was during “The Walking Dead: Season 1,” when I chose to euthanize a seven year-old boy — whom I had gotten to know over 10 hours of game play — because he was going to turn into a zombie. I cried. “The Walking Dead: Season Two,” released in December 2013, has the same level of intensity. In Episode 1, I had to suture the arm of 10 year-old female protagonist Clem after she was mauled by a dog. I cringed. This episode picks up where Season 1 left off and is a building block for the entire season. Telltale’s emotionally evocative, vividly visual storytelling is a hallmark of all their games, including “The Wolf Among Us,” “Tales From the Borderlands,” and “Jurassic Park.” 2014 gaming will be exciting, with Telltale planning to release more episodes for their most popular games, as well as new games like “Game of Thrones.” The company has a few other yet-to-be-announced projects in their pipeline, so stay tuned! Releasing episodes periodically creates an interesting opportunity to engage enthusiastic users in between releases — am curious to see how Telltale borrows from media (how television shows share preview clips, interviews, “quizzes” etc) and from its gaming peers (how LoL brought online offline at the Staples center) in order to leverage the suspense and build even more excitement for its new season.